It has been a busy start to the year for the Frederick Cooper quality team. We are very proud to announce our achievement of ISO4001:2015 certification, part of an ongoing business objective to reduce the company’s environmental footprint. ISO14001 is an internationally accepted standard that sets out how to put in place an effective Environmental Management System (EMS) – it is relevant to every organisation, from a single site to a large multi-national company. The aim is to reduce the environmental footprint of a business and decrease the pollution and waste a business produces whilst at the same time maintaining (or increasing) profitability. This is done by identifying the aspects of the business that impact the environment and set objectives for improvement, then implementing them. Frederick Cooper is recognised as a service driven, cost effective and friendly powder coating & paint spraying business www.frederickicooper.co.uk. 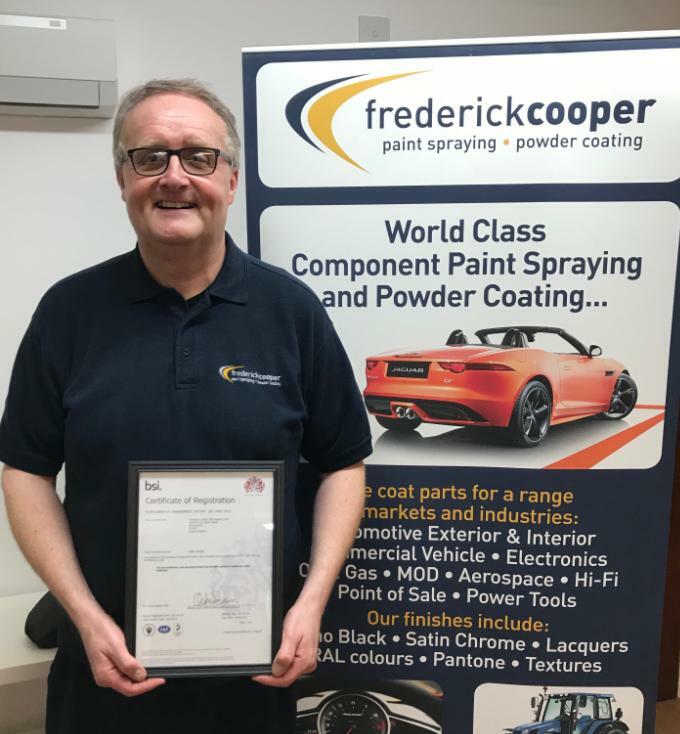 Since 1982 Frederick Cooper has been at the forefront of the finishing industry, delivering world class service on all volumes from 2 to 20,000 parts a day. For further information on our environment management system or to discuss your coating requirements please call 0121 771 2472 and ask for Steve or email sales@frederickcooper.co.uk.